Ninex Group is a real estate enterprise that endeavors to become one of the most well-known and appreciated company in the realty business. Since its inception, the company has executed a number of projects for its vivid client base. The company’s projects range from residential to commercial and IT parks, hospitality centers, schools and more. All constructions handled by the Ninex Group have been developed at Gurgaon within the NCR. 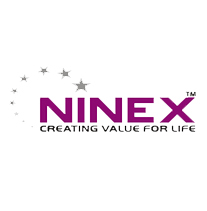 Ninex Group believes that in order to be a successful organization a company has to adopt a client centric approach. The company’s futuristic outlook is “creating value for life” by providing its clientele with more than what is expected. While being a devoted and client centric real estate developer, Ninex Group also plays the role of being a dependable consultancy. Ninex Group also offers its clientele with 360 degree solutions to overcome all sorts of real estate tribulations they might be going through while looking for suitable property. The company has been appreciated for its astonishing style of construction, design and architecture in the development of the ITC Fortune Select Excalibur Hotel at Gurgaon that offers all amenities. Ninex Group is headed by the very proficient and skilled, Mr. R.M. Garg. He lent his vision, which is “to be an admired provider of real estate solutions, the group believes in providing complete customer satisfaction and delight” to the group. As a matter of fact, the projects executed by the company have always stood as testimony to the beliefs and values that the company adheres to.